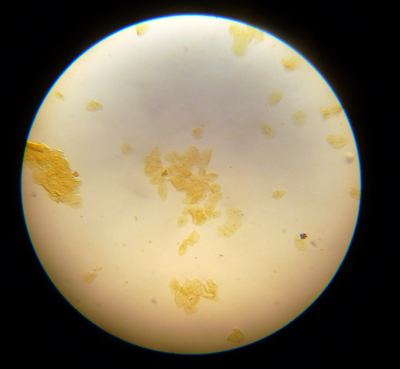 This is human cheek cells (mine). The human cheek cells are not connected in an orderly manner. Human cheek cells are spread out. The cells are transparent and thus, we need to stain them (with iodine).